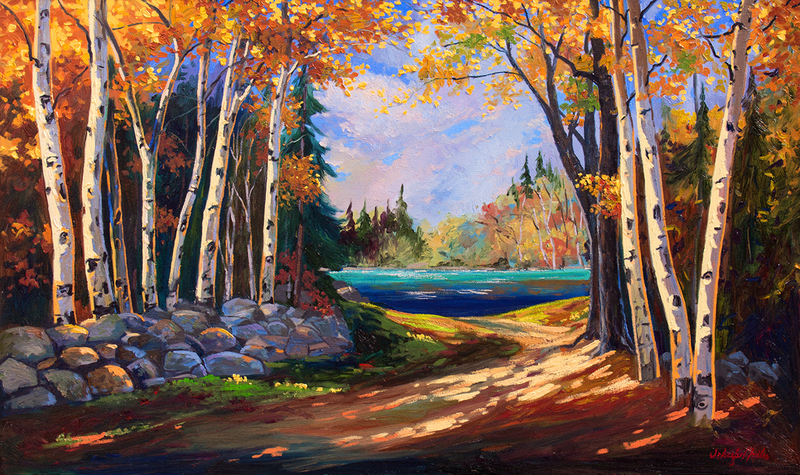 Original OIl Painting 60" x 36"
This mesmerizing fall scene is the epitome of Northern Wisconsin in the Fall. The stone fence was inspired from our walk through Carson Park in Eau Claire, WI. You couldn't see the water from our vantage point but after several other walks through parks in Eau Claire, it definitely needed to be added. A little artistic license.